Several alarming recent events ought to awaken citizens of Europe and the United States to the fact that their insane governments have driven the world to the brink of an all-destroying thermonuclear war. Recently Donald Trump has made three highly worrying appointments: He appointed John Bolton as his National Security Advisor. Bolton who has already moved into the White House, is a notorious advocate of war with Iran and with North Korea. He appointed former CIA Director Mike Pompeo as Secretary of State. This appointment has not yet been confirmed by the Senate, so there is still a chance of blocking it. To replace Pompeo as CIA Director, Trump appointed former torture chief Gina Haspel. Secondly, in what can only be interpreted as an attempt to demonize Russia, The United Kingdom’s government under Theresa May claimed that the former spy Sergei Skripal and his daughter Yulia, who were living in the UK, had been poisoned by a Russian nerve agent. The two are recovering. Russia has denied any involvement, and has pointed out if a military grade of the poison had been used, the only kind ever manufactured in Russia, the two victims would be dead. The formula for the poison is well known, and it it could have been manufactured anywhere. Thus there is no credible evidence for Russian involvement. Nevertheless Russian diplomats have been expelled from many countries, including 18 European countries, the United States, Canada, Albania, Australia, Macedonia, Moldavia, Montenegro, Norway and Ukraine. The European countries involved are Belgium, Croatia, Czech Republic, Denmark, Estonia, Finland, France, Germany, Hungary, Ireland, Italy, Latvia, Lithuania, Luxembourg, Netherlands, Poland, Romania, Spain and Sweden. Thirdly, it is claimed that Syrian President Bahar al-Assad used chemical weapons against his own people. As in the Skripal incident, there is no clear evidence that this was not a false flag attack. Assad had no motive to do such a thing. Perhaps western governments do not really want a catastrophic nuclear war with Russia. Perhaps all they want is a crisis to justify obscenely bloated armament budgets to satisfy the insatiable appetites of military-industrial complexes. But going close the brink involves a non-negligible risk of going over it, because of uncontrollable escalation of a conflict, or because of human error or a technical failure. As bad as conventional arms and conventional weapons may be, it is the possibility of a catastrophic nuclear war that poses the greatest threat to humanity. There are today roughly 15,000 nuclear warheads in the world. The total explosive power of the warheads that exist or that could be made on short notice is approximately equal to 500,000 Hiroshima bombs. To multiply the tragedy of Hiroshima by a factor of half a million makes an enormous difference, not only quantitatively, but also qualitatively. Those who have studied the question believe that a nuclear catastrophe today would inflict irreversible damage on our civilization, genetic pool and environment. Thermonuclear weapons consist of an inner core where the fission of uranium-235 or plutonium takes place. The fission reaction in the core is able to start a fusion reaction in the next layer, which contains isotopes of hydrogen. It is possible to add a casing of ordinary uranium outside the hydrogen layer; under the extreme conditions produced by the fusion reaction this ordinary uranium can undergo fission. In this way, a fission-fusion-fission bomb of almost limitless power can be produced. For a victim of severe radiation exposure, the symptoms during the first week are nausea, vomiting, fever, apathy, delirium, diarrhea, oropharyngeal lesions and leukopenia. Death occurs during the first or second week. One argument that has been used in favor of nuclear weapons is that no sane political leader would employ them. 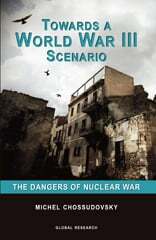 However, the concept of deterrence ignores the possibility of war by accident or miscalculation, a danger that has been increased by nuclear proliferation and by the use of computers with very quick reaction times to control weapons systems. Recent nuclear power plant accidents remind us that accidents frequently happen through human and technical failure, even for systems which are considered to be very “safe.” We must also remember the time scale of the problem. To assure the future of humanity, nuclear catastrophe must be avoided year after year and decade after decade. In the long run, the safety of civilization cannot be achieved except by the abolition of nuclear weapons, and ultimately the abolition of the institution of war. The danger of a catastrophic nuclear war casts a dark shadow over the future of our species. It also casts a very black shadow over the future of the global environment. The environmental consequences of a massive exchange of nuclear weapons have been treated in a number of studies by meteorologists and other experts from both East and West. They predict that a large-scale use of nuclear weapons would result in fire storms with very high winds and high temperatures, which would burn a large proportion of the wild land fuels in the affected nations. The resulting smoke and dust would block out sunlight for a period of many months, at first only in the northern hemisphere but later also in the southern hemisphere. Temperatures in many places would fall far below freezing, and much of the earth’s plant life would be killed. Animals and humans would then die of starvation. The nuclear winter effect was first discovered as a result of the Mariner 9 spacecraft exploration of Mars in 1971. The spacecraft arrived in the middle of an enormous dust-storm on Mars, and measured a large temperature drop at the surface of the planet, accompanied by a heating of the upper atmosphere. These measurements allowed scientists to check their theoretical models for predicting the effect of dust and other pollutants distributed in planetary atmospheres. Using experience gained from the studies of Mars, R.P. Turco, O.B. Toon, T. Ackerman, J.B. Pollack and C. Sagan made a computer study of the climatic effects of the smoke and dust that would result from a large-scale nuclear war. This early research project is sometimes called the TTAPS Study, after the initials of the authors. High-yield nuclear weapons exploded near the earth’s surface would put large amounts of dust into the upper atmosphere. Nuclear weapons exploded over cities, forests, oilfields and refineries would produce fire storms of the type experienced in Dresden and Hamburg after incendiary bombings during the Second World War. The combination of high-altitude dust and lower altitude soot would prevent sunlight from reaching the earth’s surface, and the degree of obscuration would be extremely high for a wide range of scenarios. A baseline scenario used by the TTAPS study assumes a 5,000-megaton nuclear exchange, but the threshold for triggering the nuclear winter effect is believed to be much lower than that. After such an exchange, the screening effect of pollutants in the atmosphere might be so great that, in the northern and middle latitudes, the sunlight reaching the earth would be only 1% of ordinary sunlight on a clear day, and this effect would persist for many months. As a result, the upper layers in the atmosphere might rise in temperature by as much as 100 degrees C, while the surface temperatures would fall, perhaps by as much as 50 degrees C.
The temperature inversion produced in this way would lead to superstability, a condition in which the normal mixing of atmospheric layers is suppressed. The hydrological cycle (which normally takes moist air from the oceans to a higher and cooler level, where the moisture condenses as rain) would be strongly suppressed. Severe droughts would thus take place over continental land masses. The normal cleansing action of rain would be absent in the atmosphere, an effect which would prolong the nuclear winter. In the northern hemisphere, forests would die because of lack of sunlight, extreme cold, and drought. Although the temperature drop in the southern hemisphere would be less severe, it might still be sufficient to kill a large portion of the tropical forests, which normally help to renew the earth’s oxygen. The oxygen content of the atmosphere would then fall dangerously, while the concentration of carbon dioxide and oxides of nitrogen produced by firestorms would remain high. The oxides of nitrogen would ultimately diffuse to the upper atmosphere, where they would destroy the ozone layer. Thus, even when the sunlight returned after an absence of many months, it would be sunlight containing a large proportion of the ultraviolet frequencies which are normally absorbed by the ozone in the stratosphere, and therefore a type of light dangerous to life. Finally, after being so severely disturbed, there is no guarantee that the global climate would return to its normal equilibrium. Nuclear Weapons Are Criminal! Every War Is a Crime! War was always madness, always immoral, always the cause of unspeakable suffering, economic waste and widespread destruction, and always a source of poverty, hate, barbarism and endless cycles of revenge and counter-revenge. It has always been a crime for soldiers to kill people, just as it is a crime for murderers in civil society to kill people. No flag has ever been wide enough to cover up atrocities. But today, the development of all-destroying modern weapons has put war completely beyond the bounds of sanity and elementary humanity. Can we not rid ourselves of both nuclear weapons and the institution of war itself? We must act quickly and resolutely before our beautiful world and everything that we love are reduced to radioactive ashes.